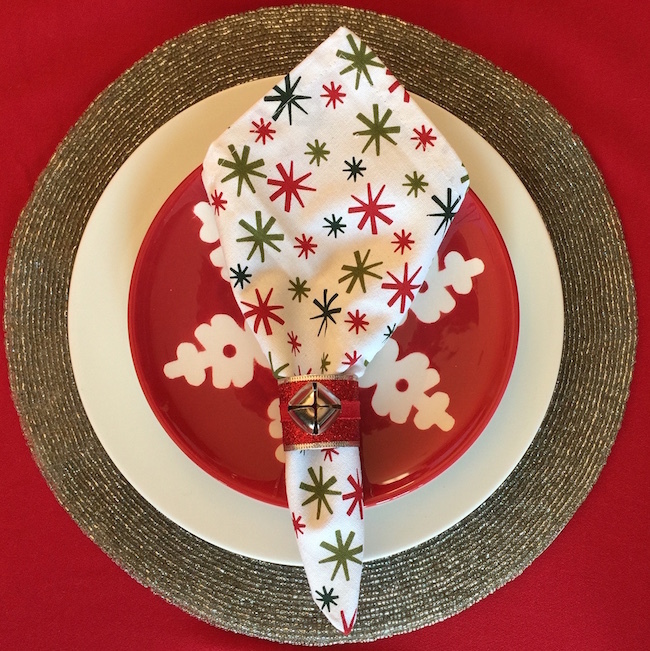 to match your holiday decor. 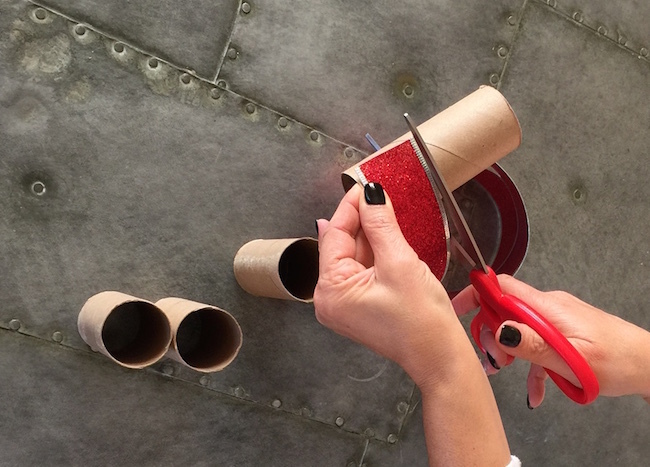 Step 1: Cut toilet paper roll to match width of ribbon. 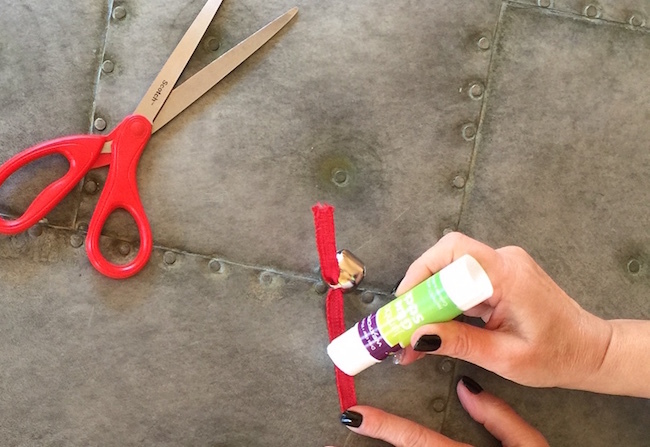 Step 2: Cut ribbon to fit around the roll, allowing for some overlap. 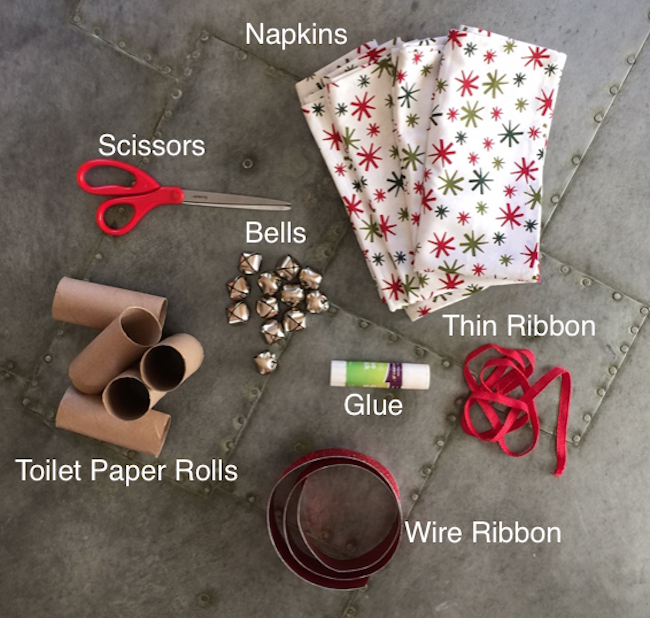 Step 3: Glue cut piece of wide ribbon to wrap around toilet paper roll. 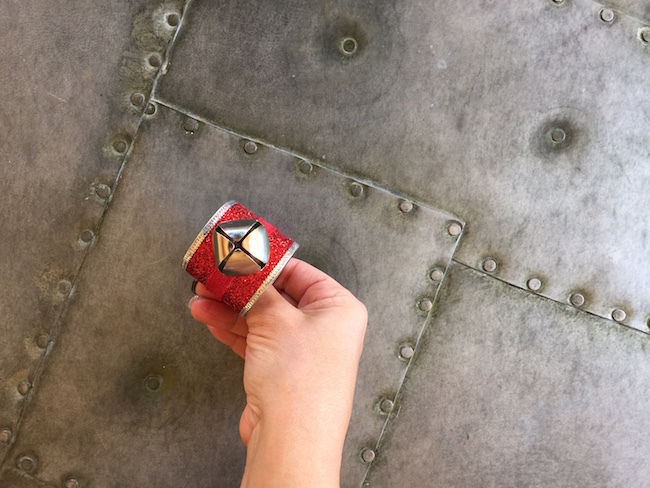 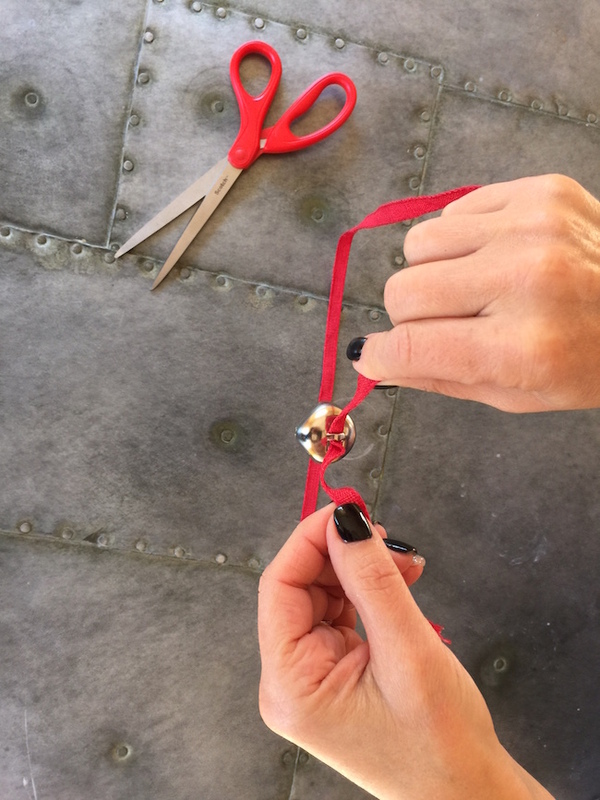 Step 4: Put thin ribbon through bell. 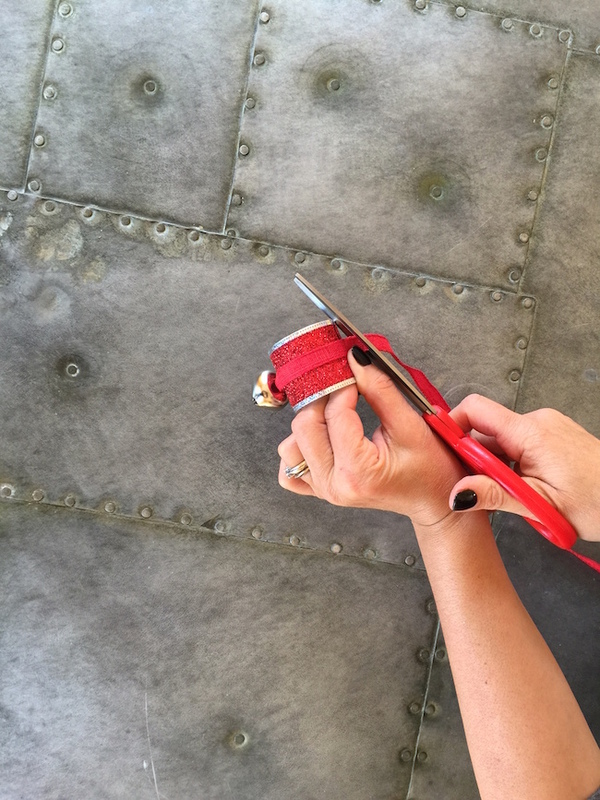 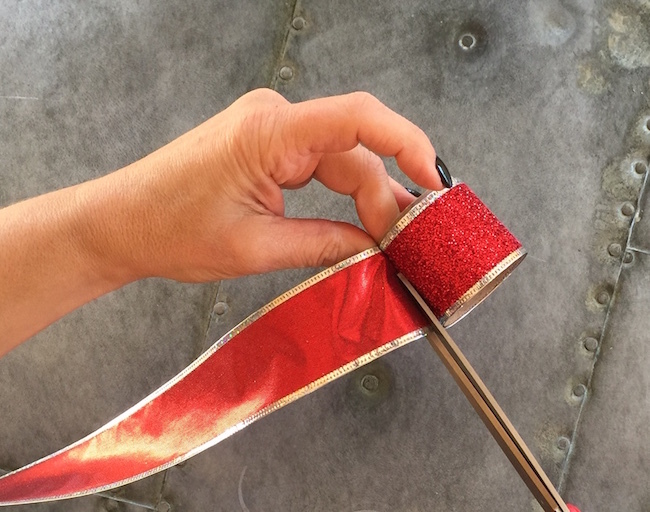 Step 5: Cut thin piece of ribbon with bell to fit around roll and overlap. 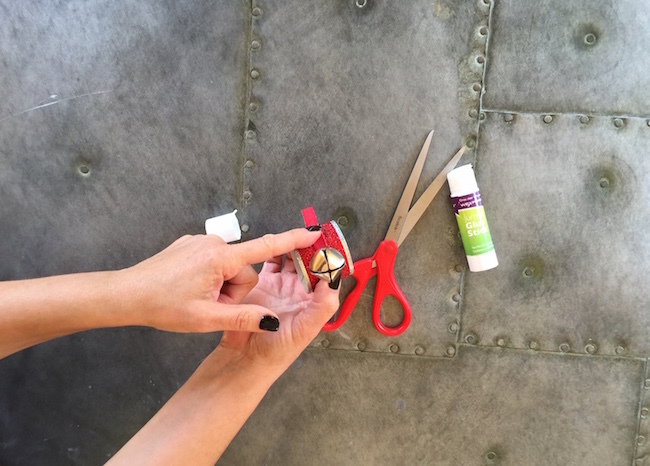 Step 6: Glue ribbon with bell. 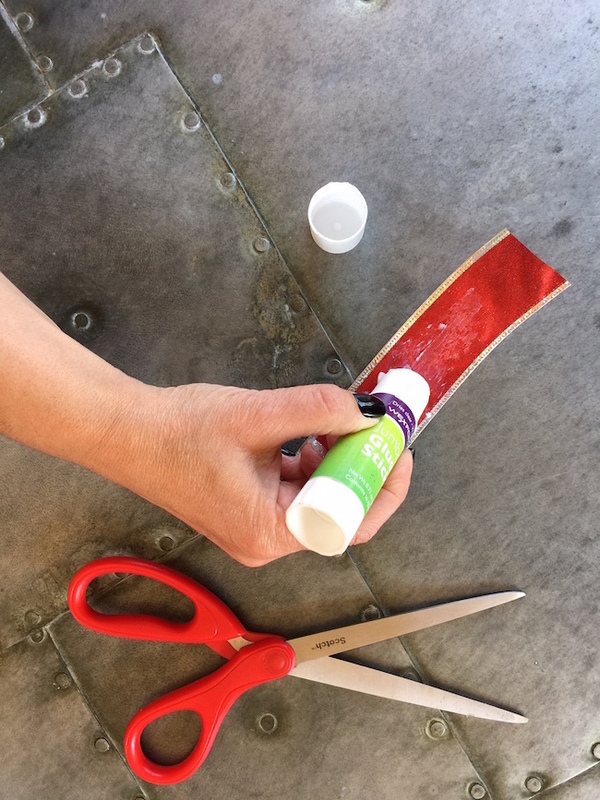 Step 8: Let glue dry completely. 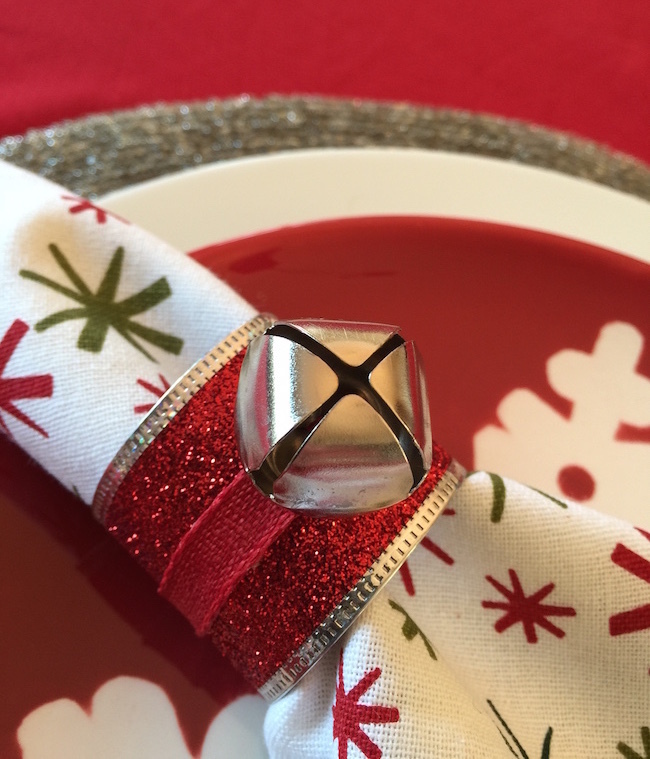 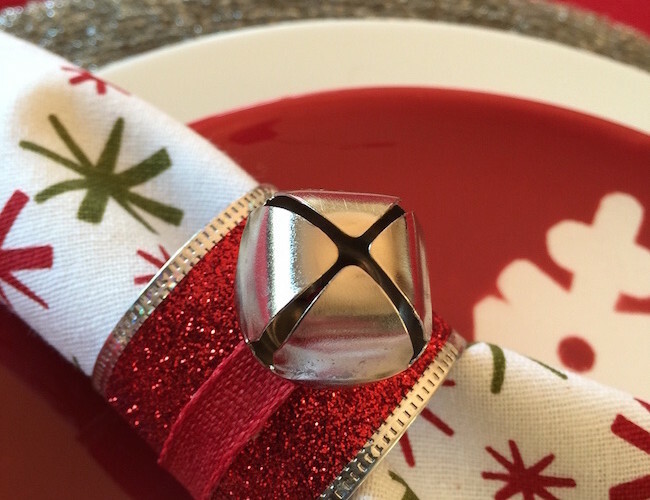 Step 9: Put napkin through ring and set decorate place setting.